This weekend my husband and I painted our bathroom purple. I guess I should say we started painting our bathroom purple and then when we went to paint the second coat, I fessed up that we would have to go back to Lowe’s. This is not the first time I have undercut how much of a material we would need for a project and it probably will not be my last. I am a cheap skate when it comes to things like paint and mulch, and in general I really enjoy finding a good deal. I was not happy with myself when we were unable to paint the ceiling and trim as well within our weekend. Later on that night, my husband told me a story about the time when he needed to buy a drill for a project in the basement. 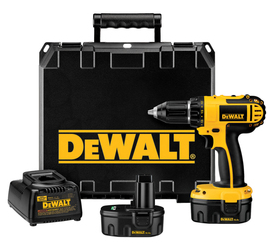 He bought the nicest, most expensive drill that Lowe’s carried (a DeWault). He still has the drill in our hall closet and we use it for many projects. He went on to tell me that if a girl had to go and buy a drill from Lowe’s that day, she would have purchased a much cheaper drill that would have broken after a year, but the drill he bought will last our life time. He was teaching me a lesson on 1) listening to him when we need 2 gallons of paint AND 2)investing in things that will last a lifetime. What does this have to do with Ipads in schools and in your child’s hands? Everything. Why waste money on Apps that are glitzy and claim they can solve problem X with your student, when you could spend money on a few apps that a student could use to solve A – Z in your classroom? When people come to my classroom to observe, they often ask which apps we work with and I have a list of apps that we use in the classroom within the given year. I always tell them that they need to invest in Cost Effective Apps. These are the apps that a teacher can implement in any subject and can be used in almost any grade level. I have compiled a list of what apps I could not live with out. What is interesting to note is that not one of them is targeted to meet a certain skill or standard, they can be used across a variety of lessons. 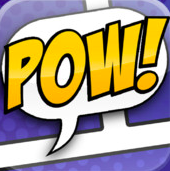 Absolutely, hands down my students’ FAVORITE app. 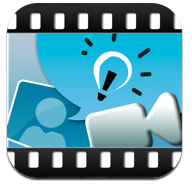 iMovie allows students to create their own movies and trailers on anything they choose. 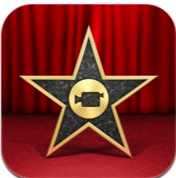 We have created iMovies on abolitionists, their favorite novel, the planets, and much more. At $4.99, this app is worth its weight in gold! If you want your students to create professional looking presentations, look no further! Keynote is the answer to your quest. 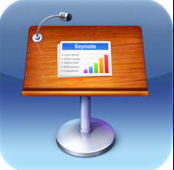 This app is extremely easy to use and allows students to create beautiful presentations in no time. I would recommend showing them multiple examples of professional Keynotes before they created their own. Set your expectations high, and they will meet them! This app costs $9.99. Goodbye copy machine and hearing you only have 5 copies left! Hello Digital World. This app is here to rescue the day when you still need to use worksheet or review guide X, but don’t want to take away from your copy amount. GoodNotes allows students to download PDFs, mark up the PDF, and send it digitally back to the teachers. Students can send back via different apps, but I prefer Box. It is easiest for students to download the PDFs they will need from a wiki. This app is $5.99, but think about how much paper it will save your school. For only $2.99, Strip Design is an amazing app to use in your classroom because it allows students to create professional looking papers on their iPads (they can jazz up the writing as well!) This is the grown up version of PicCollage. 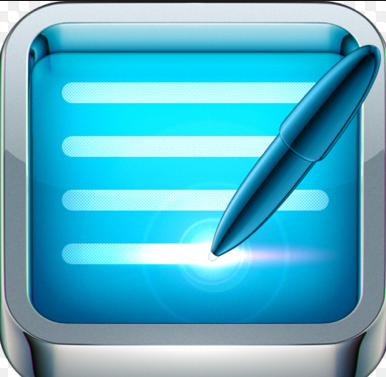 Students can create graphic organizers or simply write 5 paragraph essays on this app and send them in digitally to Box for the teacher to print and score. Students love creating in Strip Design, and we have used it a lot in the past! Explain Everything does exactly what the name suggests, it allows the user to explain everything about a topic within the app! Students can import pictures, videos, and files within the app. The app then acts as a screen recorder. Students can record their voice and their writing on the screen. This is a great tool for review sitting at a low $2.99. 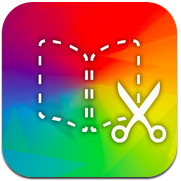 Last, but not least is Book Creator. This app allows students to make books easily about any subject they choose. Last year, we created a poetry book in class and I printed them for Valentine’s Day. This app allows students to send the finished project to the teacher as a PDF and the teacher can print or simply grade the project. It also allows the creator to input voice and embed links within the pages. this app is definitely a necessity at $4.99! The best news for you? Apple loves students and educators! They have the Volume Purchase Program that allows discounts on large app purchases. This allows your students to gain more apps for less money! I recommend downloading the top 9 free apps, and then asking your principal if you can have the six apps I have highlighted within this post. Those 6 apps can implement a year’s worth of work, and for $31.94 think of how many notebooks, folders, pencils, highlighters, etc. you can leave off your school supply list this year!